DECIDED TO STAY at the cabin today, had a few things that needed to get done that I had kind of forgotten about. Early this morning the rain finally let up and a strong wind from out of the South was starting to dry the deck off. Of course it did help that by noon it was almost sixty out and I was soon outside just working in a sweatshirt. I put the riding lawnmower away after blowing it off with the leaf blower, next in was the tiller as the ground was just to soaked to use either one of them. What would you recommend to use for ice fishing? I am going to go for my first time and I need some advice. Well Packing up here getting ready to pull out tomorrow for deer camp, We all have names for our deer camp and we call ours the HOTEL. I write updates from Lake Iwanttobethere here and I am thinking that maybe when I return from camp I will instead just put those stories here under the blog. Make is easier for those who read the stories to just check out the blog which is what I really guess the stories have become. See ya soon and hopefully I will have a few good stories to tell. What are tricks to catch late-fall bass? What are tricks to catch late-fall bass? What lures or bait is good? Never enough time come fall here at Lake Iwanttobethere or maybe I should say daylight! End of open water fishing but bird hunting, mostly grouse is here and the river still calls. Sometimes you can carry a rod in one hand and a shotgun in the other but more then once I have tried to shoot a grouse with my fishing rod. I have given up on getting in that last round of golf but who knows maybe fall will last long. What are your guys's favorite fishing tackle? 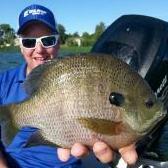 What are some good fishing lakes around Minneapolis? What are some good fishing lakes around Minneapolis? I am looking for northern, bass, and walleye mostly. Does anyone fish Mt.Normandale lake? Does anyone fish this lake? I catch some pike and bass but are there trophies? If there are, what are some effective strategies? And I heard they were draining the lake a while ago. Have they drained the lake? Fall is here and maybe I should drop a line or two here. See if anyone bites!